Rumors that Canon is working on a high-megapixel DSLR has been swirling for some time, but according to Eric Reagan of the Photography Bay, a trusted source has told him that Canon not only has a pre-production pro DSLR with a 75-megapixel sensor in the works, it’s already testing it out in the field. Although Canon doesn’t comment on rumors, it’s no secret that the company has the know-how in creating ultra-high-resolution sensors. If such a camera does exist, it’d mean that photographers have a new option for creating even higher-resolution, stunning images from a camera that’s the size of existing pro DSLRs. Reagan’s source predicts Canon has plans to announce it sometime this year, but could it also set off a whole new megapixel race between camera makers? And, do we really need that many pixels? The problem with megapixels is that it has a tricky history, but a new megapixel race is highly unlikely. Here’s why. Remember the megapixel race? If you’ve purchased digital cameras since the late 1990s, you probably do. But if not, let us refresh your memory. Megapixels in a camera are important, but they’ve also become one of the biggest specification misconceptions in digital photography. For a long time, spanning most of the last decade, camera companies tried to one-up one another by increasing the resolution year after year. A 1.3-megapixel camera that was deemed the bee’s knees in 2001 would get shown the door by a 2-megapixel model a few months later, and so on. Because camera companies marketed so heavily on the emphasis that “the more megapixels you have, the better,” the unfortunate consequence is that, to this day, that’s how consumers have been trained to judge and buy a digital camera. But choosing a camera based solely on resolution, however, is somewhat misleading. Many digital camera owners are starting to become aware that megapixels alone do not determine the overall picture quality of a camera, but there are still a lot of consumers who aren’t aware of this, simply because the notion about having more megapixels never left their heads. As we’ve mentioned before, the size of the sensor is equally important: the bigger the sensor, the more light the pixels can capture. You see, as camera makers churned out point-and-shoot cameras year after year in their heydays, they tried to cram as many pixels as they could onto a small sensor by making pixels smaller, but small sensors with small pixels can only do much for photo quality (image noise becomes a problem for small sensors as the resolution increases), despite the number of pixels. Eventually, camera makers stopped focusing solely on resolution as the defining factor. “The bottom line: Megapixels are only one of many factors to consider when evaluating image quality,” Westfall said, citing sharpness, noise, dynamic range, contrast, tonal gradation, color accuracy, exposure accuracy, distortion, vignetting, lens flare, moiré, and rolling shutter artifacts as some of the other factors that affect image quality. While the megapixel marketing race has come to a stop for traditional cameras, it’s playing out in another digital photography sector: smartphones. It’s déjà vu: With every new model that has a camera (which is nearly all of them) that comes out, we see smartphone makers boasting about the number of megapixels the camera can handle. 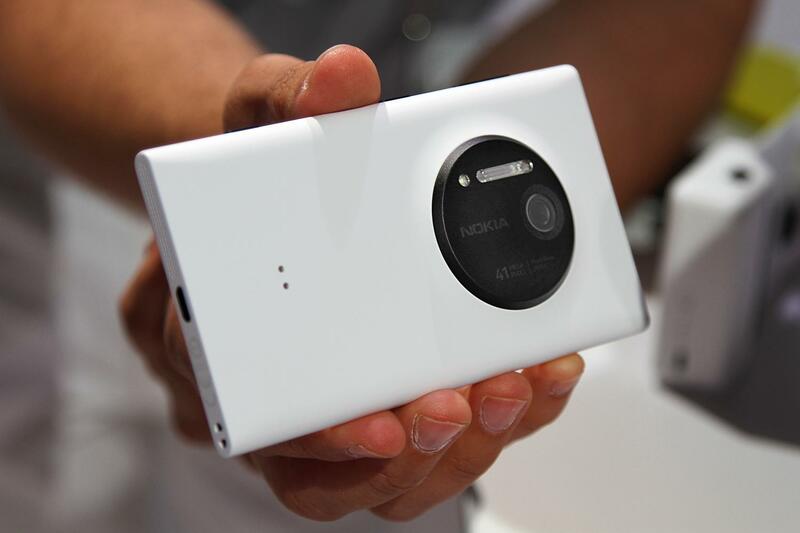 One recent example is Nokia’s Lumia 1020, which claims a whopping 41 megapixels. “They are following a similar path as the camera makers by stressing more is better,” Lee said. As more people are embracing smartphones for casual photography, smartphone makers are trying to make their cameras on par with traditional point-and-shoot models, which still yield greater image quality because of components like better sensors, image processors, optical zooms, image stabilization systems – the things that many smartphones currently don’t have. Stressing the higher megapixel counts is one of the ways to overcome the shortcomings. But even smartphones makers know that megapixels are a race to nowhere if the image quality is poor. In addition to the high megapixel count in the Lumia 1020, Nokia also emphasizes the importance of the larger sensor (larger than most in smartphones and even the cheapest point-and-shoots), Xenon flash, mechanical shutter, and oversampling technology (which uses all those pixels to create a smaller but higher quality 5-megapixel image). HTC, on the other hand, is using a different marketing approach by calling its megapixels “Ultrapixels.” Despite having fewer pixels, HTC says its pixels are larger and therefore can handle more light. Realizing that consumers have a perception that more is better, HTC’s Ultrapixel website contains a section that debunks the megapixel myth. Even if the rumor that a 75-megapixel Canon DSLR exists were true, would Canon ever sell it? And, could it trigger another megapixel race? There’s always a possibility that Canon could unveil a high-resolution pro DSLR (such cameras aren’t uncommon, as there are already DSLRs and digital camera backs for photography studios that offer high-resolution sensors). As for another megapixel race, the answer is likely no. For average consumers, having between 5 and 10 megapixels is already plenty – it is why Nokia’s Lumia 1020 also takes 5-megapixel shots, which the company calls the “sweet spot” in resolution. That’s enough to create good-looking images that can be shared or printed in small-to-medium sizes. Also, the higher the megapixels an image has, the larger the file size, and that requires a lot of computer processing and bandwidth that most users don’t have or need. While pros might love such a high-end camera (the 75-megapixel Canon DSLR is rumored to also include a new processor to handle the high resolution and frame rates, among other upgrades), they, too, acknowledge the caveats, and that it would require fulfilling other factors besides a high megapixel count. “All of that being said, more megapixels would allow me to shoot high resolution panoramas with fewer shots. This would save me time, so I’m all for it,” Reifer said.